Chatfield, MN – March 1st, 2015 – The Pope & Young Club is proud to announce a “Members Only” promotion with KUIU, a manufacturer of ultra lightweight, high performance hunting clothing and gear. 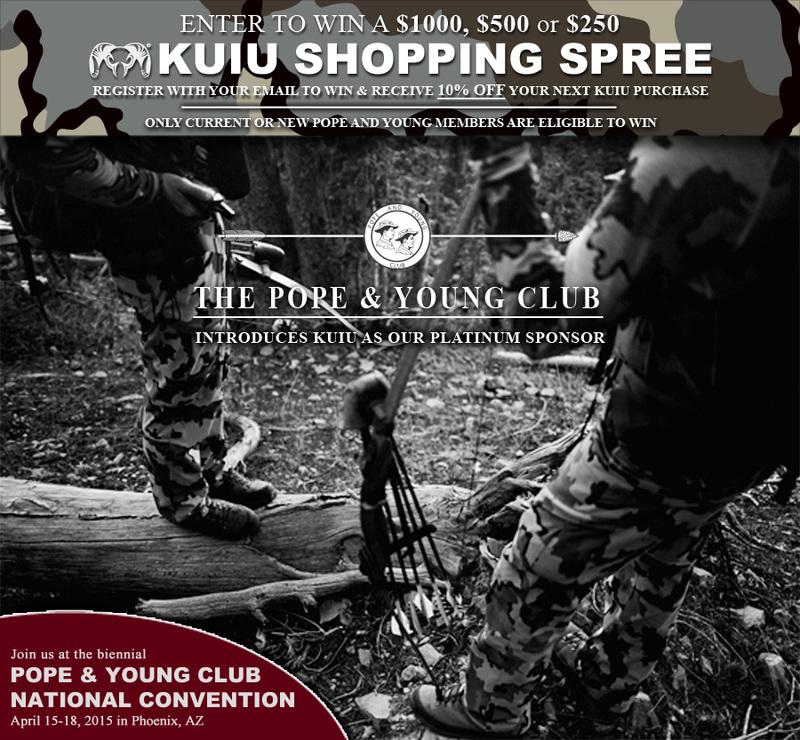 As a Pope & Young Club Corporate Partner, KUIU is offering all current and new Pope & Young Club members a chance to win a $1,000, $500 or $250 shopping spree! The promotion runs from March 1st through April 15th, the beginning of the Pope & Young Club biennial convention in Phoenix, AZ. All current members, plus any new members that sign up during the promotion are eligible. All those who enter will receive 10% off their next KUIU purchase!